Dr.Malpani's Blog: One Quick Way to Assess if Your IVF Clinic Is Any Good ! One Quick Way to Assess if Your IVF Clinic Is Any Good ! The task of choosing a good clinic to undergo IVF treatment is quite challenging for any infertile couple. How does one choose a good clinic from the many choices available today ? Patients are confused by the many advertisements and websites they see. These appear to make similar claims, in terms of the infrastructure available, their experts and their success rates. In fact, some of them seem to have copied contents from another clinic’s website and present this as their own. Here’s a simple practical way of knowing if your clinic is providing genuine treatment – you must ask for photographic documentation of your embryos . Every good IVF clinic is expected to be skilled at super ovulation, egg retrieval and fertilization. They keep careful records to document their dexterity in creating embryos in vitro and should be proud to share this with their patients. 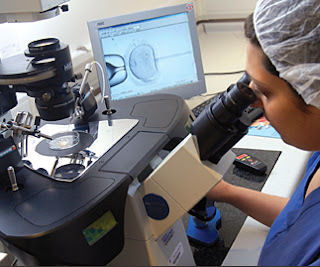 If the clinic readily provides a summary of your treatment cycle, along with embryo photos, then this proves the clinic has the confidence and ability to offer quality IVF treatment. If they are hesitant, then this is surely is a warning sign that they wish to conceal something. Malpani Infertility Clinic offers IVF (In Vitro Fertilization) Treatment to infertile couples from all over the world. If you need help in finding out if your IVF clinic is a good one, send me your details by filling in the Free Second Opinion Form and we are here to help you out!